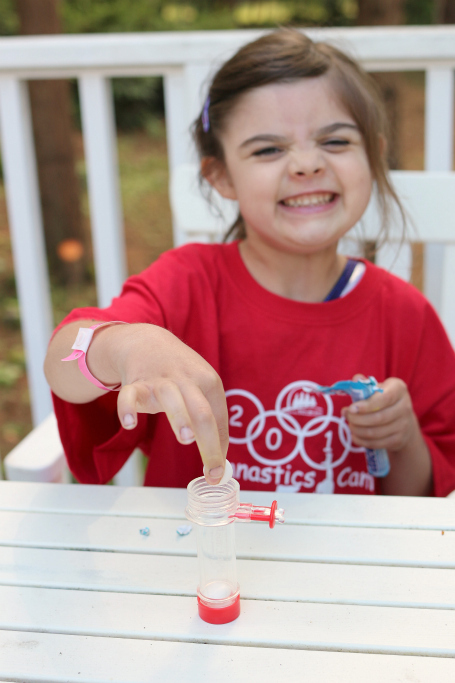 Have you been enjoying Camp Learn & Play? It’s been a huge hit with our preschool families, but it’s not geared towards school age kids, so my kids who are 6 and 9 and I decided to create Summer STEM Lab! Every Wednesday from now through the end of August we will be sharing STEM activities that any family can do. This week it’s all about geysers! 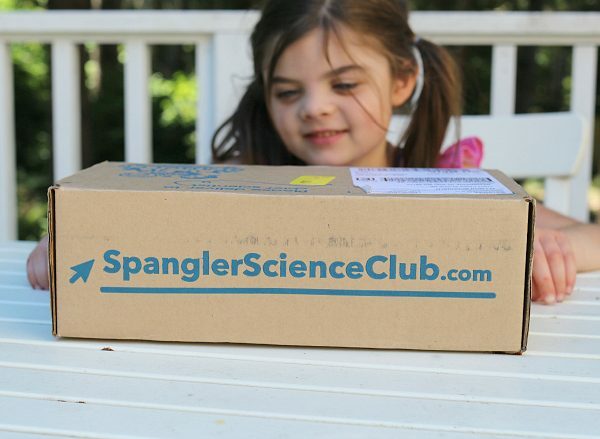 Our plan for Summer STEM Lab is that I will share a few different ways to learn about the topic of the week – from pre-planned packs and subscription boxes to completely do-it-yourself options. Something for everyone. 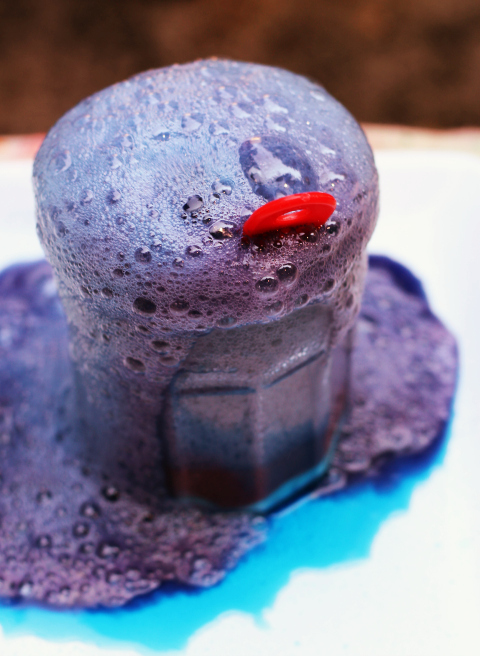 We decided that we’d explore eruptions and geysers with a Steve Spangler Science box they sent us – it came with almost everything we needed to make our geysers. Even eye protection! What I love about this kit is how many activities are included and the extension ideas. 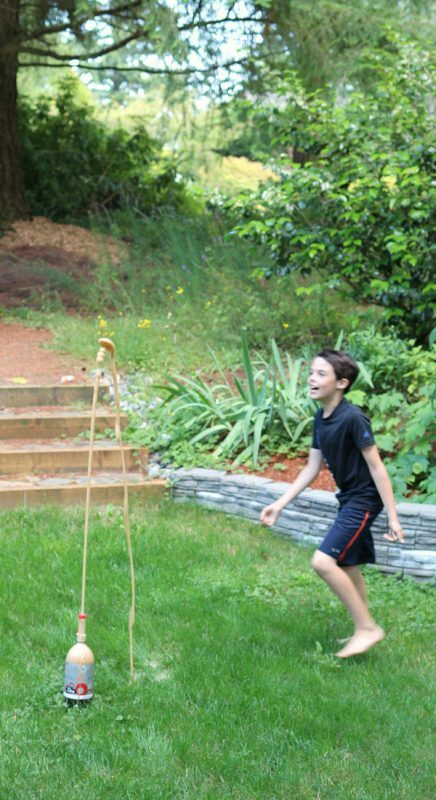 This is a great choice for summer fun or more structured science activities for homeschooling too. We chose two activities but have four more that are on our summer bucket list. 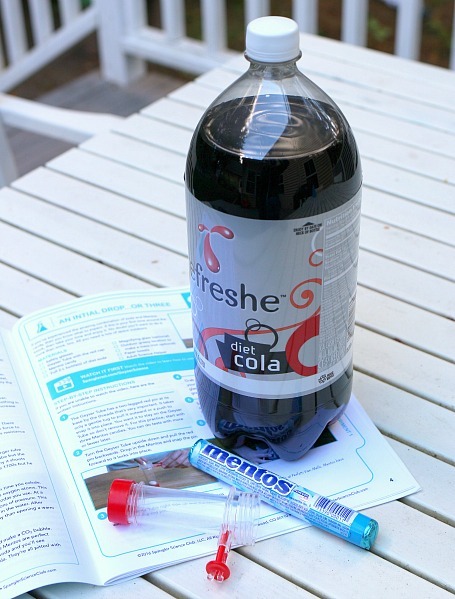 Of course, one that my kids chose was the Mentos geyser if you haven’t done this before the kit comes with a little attachment for your soda bottle to make dropping multiple Mentos into the soda bottle a breeze. My daughter decided we should drop 5 Mentos into our diet soda, so it was her job to load the dropping mechanism. 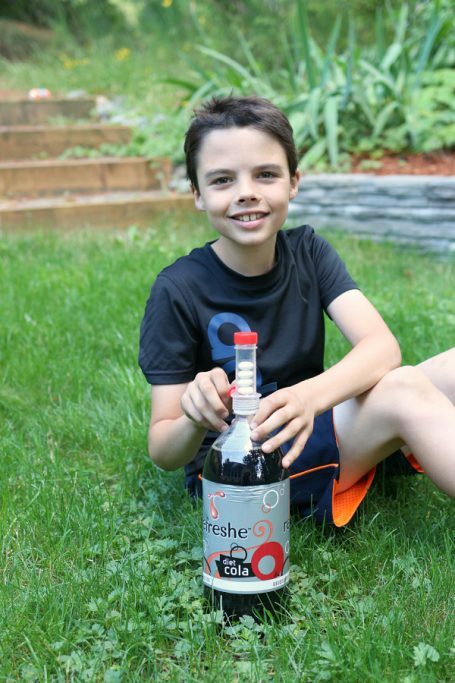 We found a spot in the yard that was flat enough for the bottle to stay upright and dropped them in! The geyser was massive, I wasn’t ready for just how high it was, this photo is after it settled down a bit. Next up was a soap geyser. 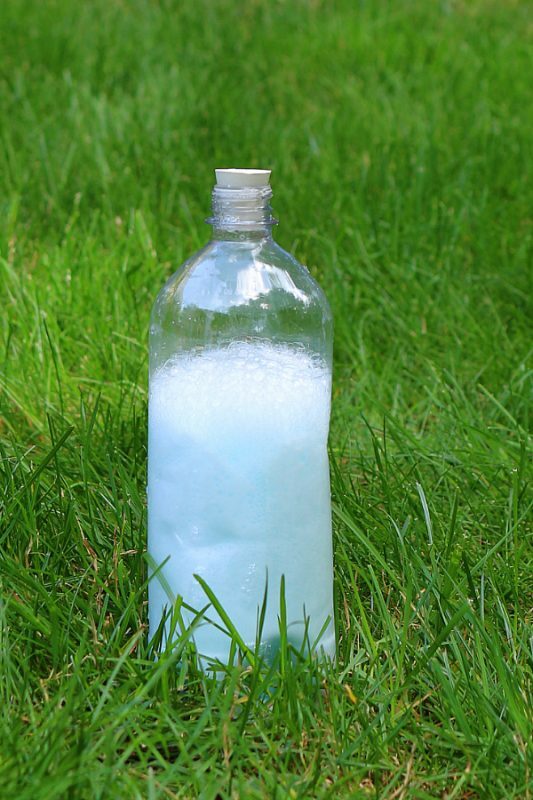 This one required a little more chemistry – we mixed baking soda and citric acid in the bottle. Then we added warm water mixed with dish soap. Poured it into the bottle. The directions in the kit were easy enough for my 6-year-old to read herself! Added the stopper and watched as the bubbles rose in the bottle…expecting the stopper to pop off. Only the little tiny hole became a geyser instead! 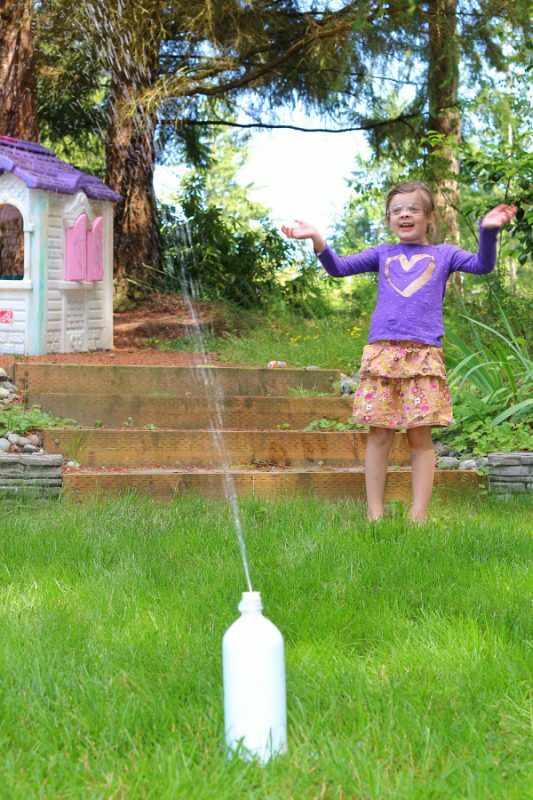 My daughter called it the soap sprinkler. We discussed all the reasons that we didn’t make enough pressure to pop the stopper off. We decided it was because we mixed the soap and water up too much making bubbles that popped and used up their popping power. I’m not sure if that is what happened but we planned to do a side by side comparison soon, we just need to get another bottle and stopper to create a true side by side comparison.That is what I love about science – even when it doesn’t go as planned, it just gives kids new questions to ponder and the motivation to find out why! This kit is perfect for families that want to have all the materials and directions laid out for them. You do not need any science teaching experience to have a ton of fun and learn a lot with your kids using these kits. In fact, each club kit comes with a parent guide in addition to the kit guide for background information so parents can be ready to answer questions. The activities are on point. 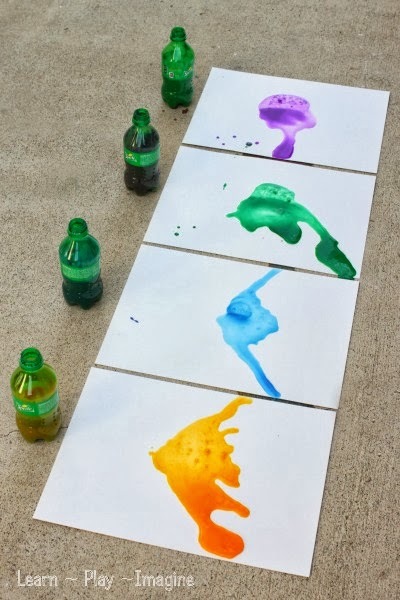 I love this idea of erupting art from Learn Play Imagine. Can you tell which powder will erupt? 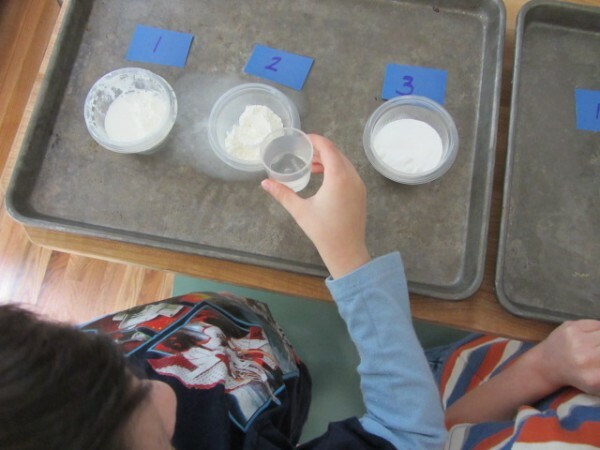 This simple activity is a great DIY kitchen science activity. Which Will Erupt Experiment. 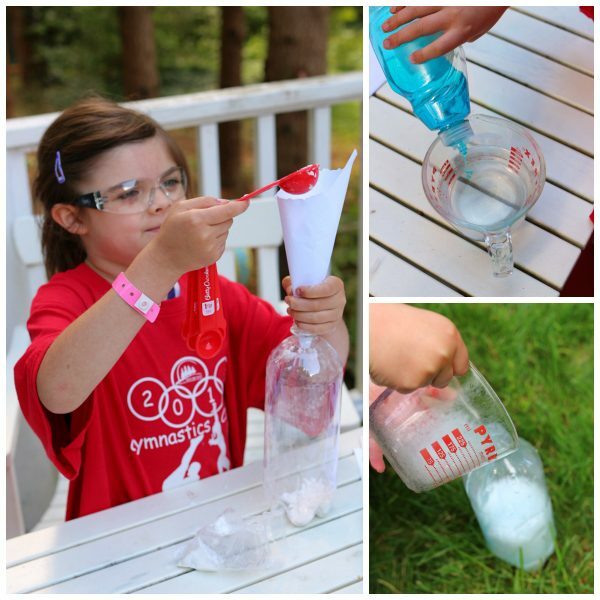 Make Alka-Sletzer Rockets! 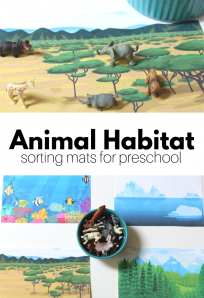 This activity and printable pdf from Playful Learning is awesome! Erupt a little color mixing! 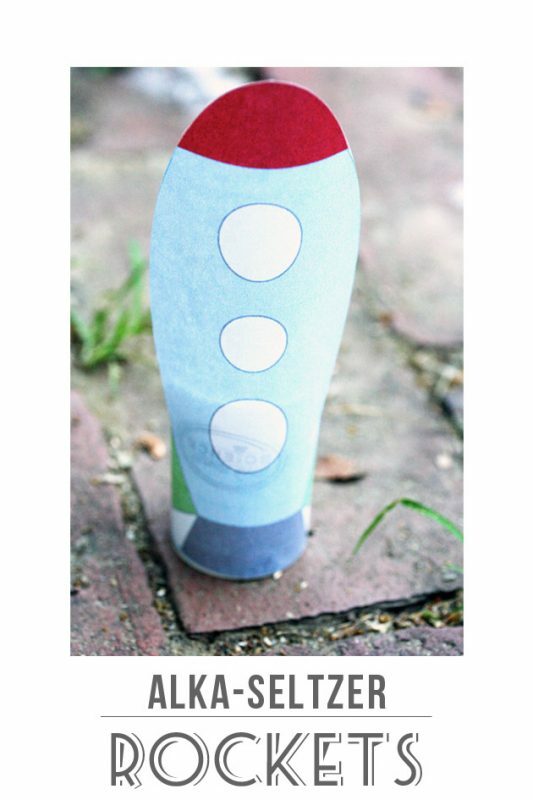 My kids LOVE this activity and it’s really so simple to pop together for Summer STEM Lab or any day! 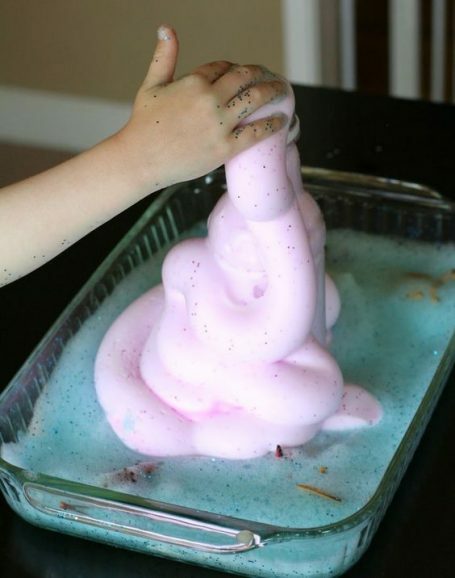 Elephant Toothpaste is a classic experiment that kids LOVE – Fun At Home With Kids has a great tutorial for you to follow! 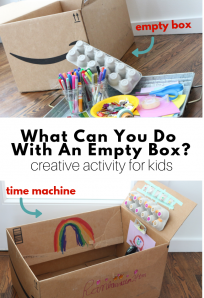 How do you think this compares to tinker crate/kiwi crate (their version for 5 yr olds)? That’s a great question – I have used Kiwi Crate before but it was years ago so I can’t do a straight comparison, however, I do feel like as far as actual educational value you can’t beat Steve Spangler Science. Hands down the educational materials are school quality and I couldn’t recommend his products more.